Pauline was chosen by all coaches to be our Athlete of the month. Pauline works hard in every session and if she has an ache somewhere in her body she still turns up and scales the workout to what ever she can do. Next to always working hard Pauline is a great support to our community. She makes delicious snacks for our competition teams and always supports others in the Box. 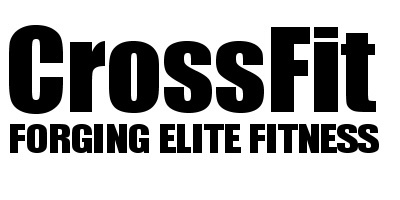 When did you start Crossfit? "I started in Oct 2014 after being introduced to CrossFit by my insanity coach.She brought me to the first session and said I would like it. She was right I did, so I am very thankful to her for introducing me. Before that I attended keep fit/circuits/aerobics sessions in every village hall in a 10 mile radius and a few years ago now, played netball in the Kent league". Has anything changed for you since doing CrossFit? "Since doing cf my diet has changed, my shape/weight has changed, I am much stronger and can even, thanks to the Chalkbox team and the Sunday Running sessions, run without feeling like I'm going to expire!" What is your favourite WOD? "If I had to pick one wod over another, I would pick an energetic one over a weightlifting one, but I know they are both good for me so don't really mind". What do your family and friends think of your new hobby? "My husband is supportive but urges caution, my mother and sisters think I'm slightly obsessed and my friends (except one maybe) haven't a clue what I get up to at the box, they would probably think I was mad if they did"
How often do you do CrossFit?. "I try and do 4 wods every week and I fit in weekly Pilates"